Potential: Can I Make $100K+? Why do you go to work each day? To make money and support your family...Get that income boost when you develop the skills, habits, attitude and strategies to build your business pipeline...Train now and take our JVTN® sales course, “Potential: Can I Make $100,000 Every Year Selling Cars?” today! All the Information & Tools You Need to Become a Pro in Sales or Grow Your Sales Team! (Limited Time Offer and shipping rates apply for books). The goal is growth - which means the right people, more skills and effective processes. Order Joe's free book now and see how to develop high achievers within your sales team. 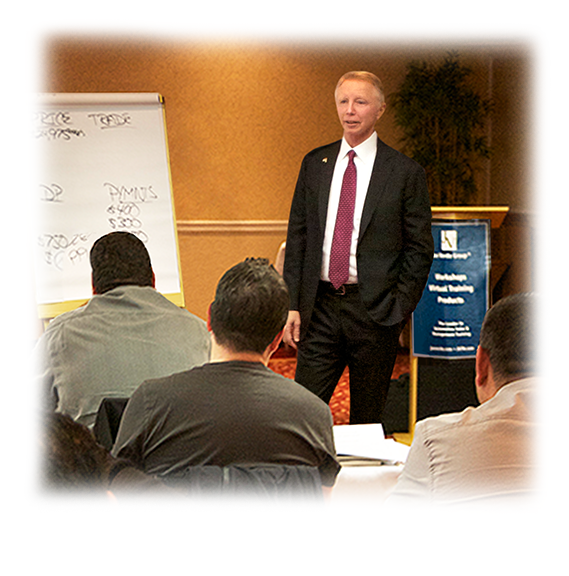 Take your sales, income and career to the next level with Joe's "How To Sell A Car Today." Close nearly 50% of prospects when you follow the "steps to selling" in this book. Get Joe's book and see how to double your net profit and your income when you focus on 7 simple solutions - without spending any extra money. Joe Verde's "A Dealer's Guide To Recovery & Growth" is one of the most-widely read books in the auto industry. The book focuses on the hard choices dealers and managers have to make to survive. 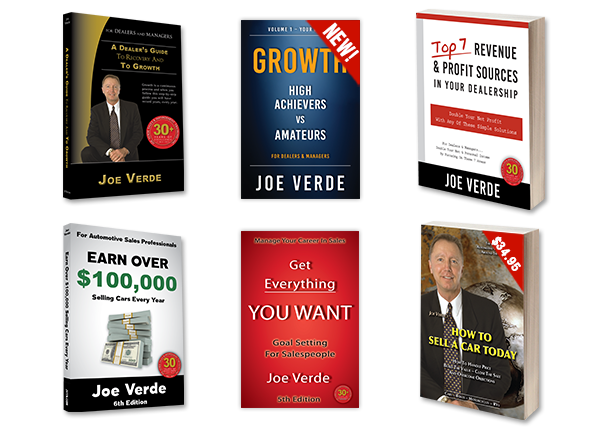 Get your free copy of Joe Verde's latest book "Earn Over $100,000 Selling Cars – Every Year" which is relied upon by managers and salespeople in the industry as a trusted resource to develop critical selling skills and habits. Fact: If you set goals right, your sales will improve. Only 3% of salespeople & managers set goals correctly. Goal setting is the most important skill 97% of us are never taught. 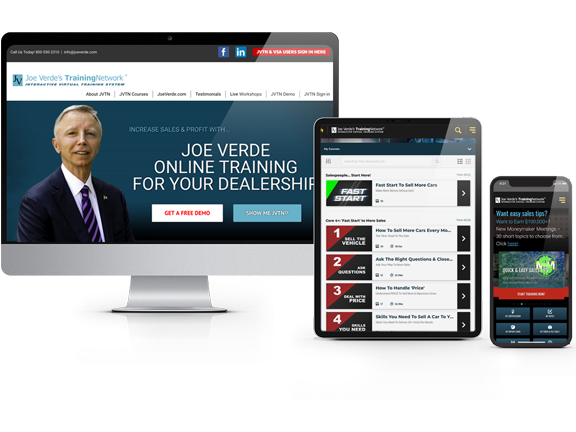 Take a FREE test drive of Joe's online training. Our goal in these classes is simple: develop professionals in sales. To do that, we teach my very deliberate, very effective and very proven process salespeople can follow every time, with every type of buyer - that will take them from the Greeting all the way to the delivery. 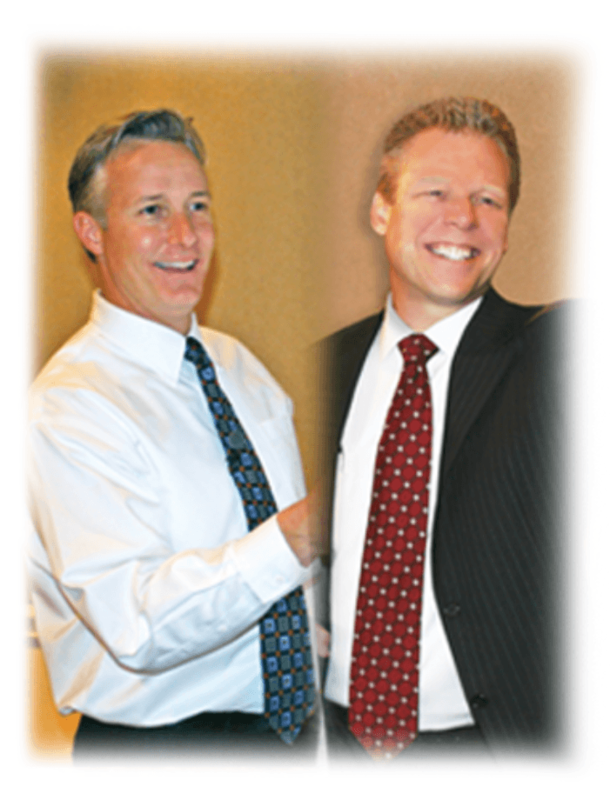 Our focus is on developing high achievers in sales by teaching them the core principles of selling. Get all of your management team on the same page and grow the dealership year after year. Attend Joe's Management Workshops and you'll learn how to train, coach and manage your salespeople to increase your unit sales and net profit. It's easy - enter your cell phone number above to sign up!